Nothing makes me happier when the good people of Stoke on Trent play on their potteries background by producing super fantastic ceramic spectacles for the rest of us to admire. Camila Prada is my favourite ceramicist EVER, and luckily enough to make me more happy, she hails from this good city I call home. I’ve featured Camila’s work on my blog before, not once but twice in fact. Her super cute designs are so unique yet functional and each one just makes me SQUEEEEE with joy. 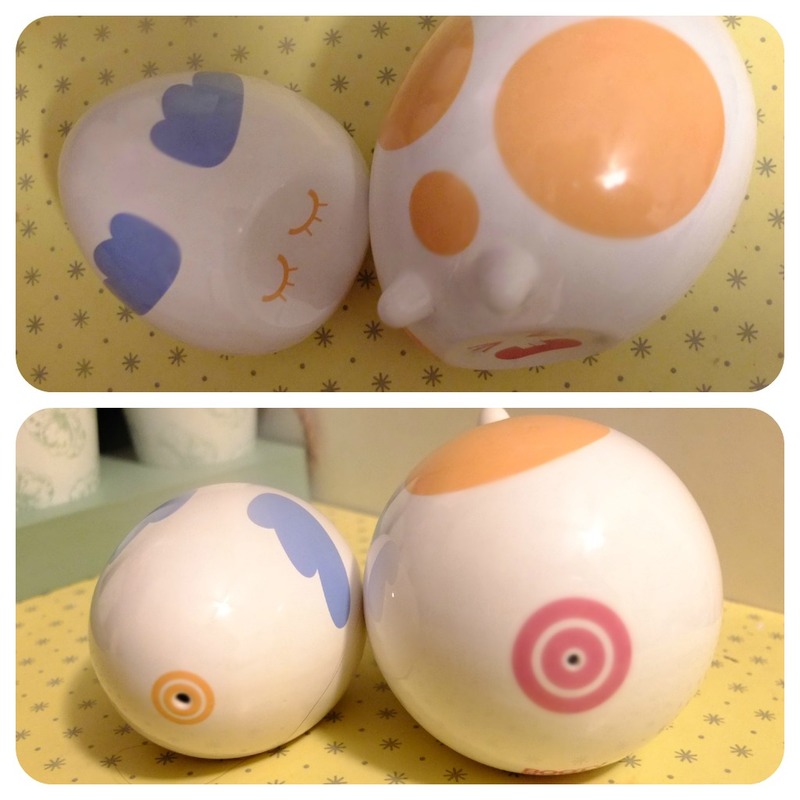 Up until now, my favourite pieces of pottery I owned (yes, I’m from Stoke and have quite a collection of the stuff) were my tea light holders and lucky egg from Camila, that was until I got these BOOTY SHAKERS. I didn’t even realise until I inspected them closer than they were in fact Salt and Pepper shakers!! And they cheekily shake their booty until the seasoning comes out. Cheeky cheeky! Another thing I love about Camila Prada’s work is the super kawaii narrative that goes along with it. My tea light holders even had adorable names: Illuminati Jones and Spirit Gyde. Just. Too. Cute. I feel these are of course, too precious to be used in the kitchen just yet. So for now they will take pride of place on my desk and watch me as I work. I absolutely love the shapes of these two little babies and the design itself. I honestly don’t know how Camila comes up with the stuff! I am envious of not only such creative flair but the mad skillz to put them in to good practise creating each piece. So just when you think Stoke on Trent lacks in prettyness you find a rose amongst the thorns and your faith in the creative county is restored!! Camila ensures me she has loads of new designs coming up in 2013 so follow her on Twitter and like her on Facebook, you can also purchase these lovelies yourself on her website. Support British handmade! !